Mid-Century Buildings of Littleton Blvd. 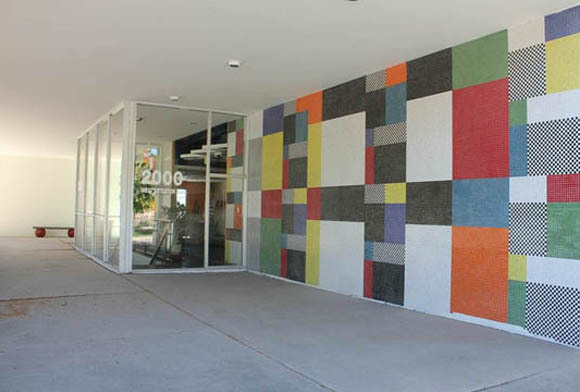 Home > Programs > Endangered Places > Mid-Century Buildings of Littleton Blvd. 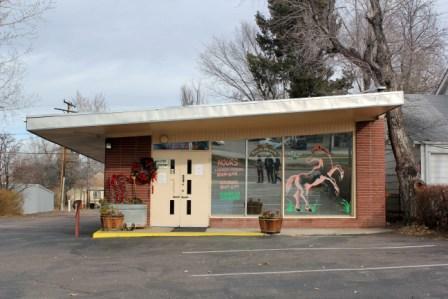 The Mid-Century Resources of Littleton Boulevard consist of number commercial buildings, and building complexes, that can be found along the Littleton Boulevard corridor, south of Denver. While many building owners have embraced their mid-century buildings, a number have become vacant and received little maintenance in the fast few years. These buildings are integral to interpreting the automobile movement of the 1950s in Littleton. While the town of Littleton started as early as the 1850s because of gold mining, the area exploded in the 1950s as Denver residents made the move south to live the American Dream. Life in the 1950s was surrounded around progressive thinking and a new modern era. Mid-Century resources are under attack throughout the county. Often seen as dated and obsolete they fall victim to the wrecking ball and demolition by neglect. Many mid-century buildings can also fall into neglect due to improper construction methods from the start. Preservationists across the country are having discussions on how to preserve mid-century buildings that had improper buildings techniques originally. All of the modern styles utilized new and innovative construction methods at the time, which were not always fool proof or standard methods. However, this only adds to the story of the importance of mid-century building design and methods. Development pressure in Littleton has increased awareness of the mid-century resources. A historic survey is nearing completion that could include expansion of the Main Street Historic District to the east. A consultant is also developing design standards and guidelines for future work on the homes in Louthan Heights. Preservation consultants, Diane Wray Tomasso and Michael Paglia have been contracted to conduct a survey in order to better understand these resources. Once the survey is completed there will be some consideration to which buildings might be eligible for designation on local, state, and national registers of historic places. Learn how to Help Save these resources with Historic Littleton, Inc.